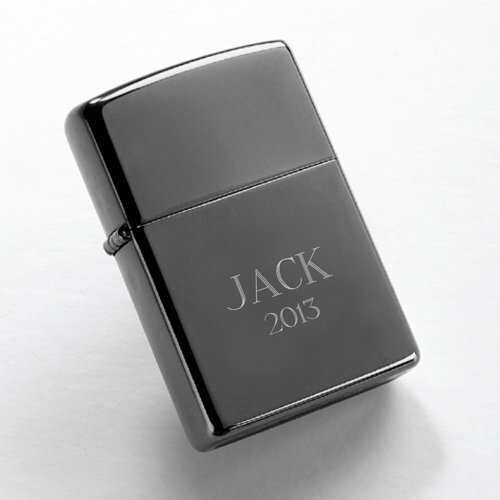 A quality personalized zippo will certainly be appreciated by grooms and groomsmen alike. Available in your choice of brushed chrome or black ice, these customized Zippos come with a lifetime guarantee. You'll love the quality and sentiment that it represents. They'll love using this sturdy lighter for lighting celebratory cigars, campfires, and birthday candles.